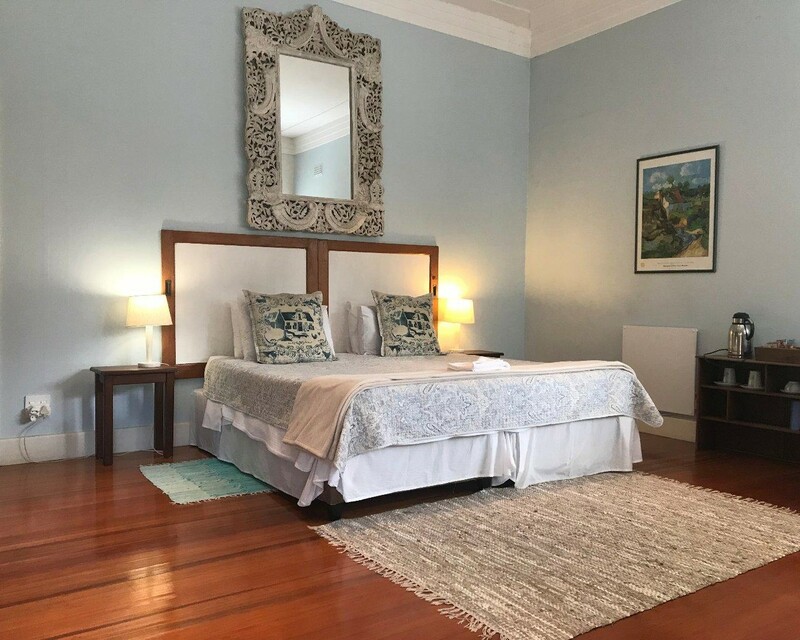 This beautiful colonial home or guesthouse is ideally located in the Breede Valley winelands town of Robertson. The building has remarkable period features such as lead glass teak windows, wooden floors and molded fireplace surrounds. The 5 guest rooms are all en-suite, three of which have exterior separate entrances. There is a large dining room with fireplace off a glass enclosed patio, cosy Guest lounge with fireplace off the reception, Large country kitchen with managers accommodation and staff dining room close by, separate Laundry and double garage. Many more features will be revealed on viewing this remarkable property. Only a two hours scenic drive from Cape Town in a popular tourist hub and wine valley.